We are dedicated to improving your oral health by treating gum disease, a condition that affects the soft and hard tissues surrounding your teeth. Our years of experience, state of the art equipment, and our compassionate and considerate service will all make a difference in your treatment and outcome. Thank you for choosing our practice - we appreciate your trust in us. One of the first things you'll notice about us with your first consultation is that we provide you with clear, complete explanations about every aspect of your dental health. We are convinced that informed decisions are better decisions. And better decisions mean better long-term health. Another important aspect of our practice is our hard-earned combination of technical training and teamwork. 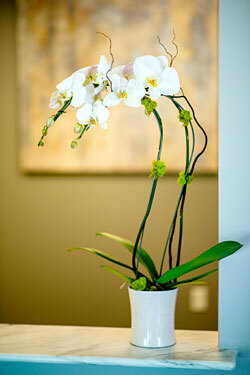 We work hard to keep up with the latest advances in dentistry, and we work hard to function as a well-balanced team.